MANILA, Philippines - Multi-nation hosting appears to be the trend for the future as joint bids were the preferred flavor in the process of determining which country or countries will stage the 32-nation FIBA World Cup on Sept. 11 to Oct. 12, 2023. SBP president Al Panlilio said yesterday aside from the Philippines’ joint bid with Indonesia, there could be at least two other collaborations among the candidates to host the 2023 edition. Argentina and Uruguay are reportedly teaming up for a bid with Uruguay sports minister Fernando Caceres announcing the option. Another combination rumored to be bidding is Germany and Russia. Turkey, host of the 2010 FIBA World Cup, will make another bid after a failed attempt for the 2019 staging which went to China. Israel and Qatar are also prospective bidders. Germany and France were supposed to make a joint bid for 2019 but that was aborted. Turkey, Germany and Qatar were candidates for 2019 but later deferred their bids for 2023. FIBA is expected to announce the approved bidders for 2023 this month. The winning bid will be decided in November or December by the FIBA Central Board this year. Panlilio said a new development in the Philippines’ joint bid is the invitation for Japan to combine forces. The possibility of a three-nation consortium was raised by FIBA officials in a meeting with SBP chairman emeritus Manny V. Pangilinan, former SBP vice chairman and First Pacific director Ricky Vargas, Panlilio and SBP executive director Sonny Barrios at the FIBA House of Basketball in Mies, Switzerland, last week. Pangilinan attended the two-day FIBA Central Board meeting during the trip and took the opportunity to confer with FIBA president Horacio Muratore and FIBA secretary-general Patrick Baumann on issues that involve clearance from FIBA. SBP submitted the candidature file to formalize its joint bid with Indonesia last Jan. 18, the deadline set by FIBA. Indonesia was apparently given an extension to turn in its own candidature file. If Japan joins the bidding group, it will also submit a candidature file. Japan hosted the 2006 FIBA World Cup in Saitama so it is familiar with the process. Japan also hosted the 2012 FIBA Asia Cup in Tokyo and will hold the 2020 Olympics where basketball is supervised by FIBA. Panlilio said in the joint bid, the Philippines will stage the final with Indonesia and Japan hosting group games. Initially, the Philippines planned to stage the semifinals, too, but Japan may host one of the two semifinal games. In the format for the FIBA World Cup, the first phase will split the 32 teams into eight groups of four. The top two finishers of each group will then advance to the second phase where the 16 survivors are divided into four groups of four. The top two finishers of each group then move to the eight-team knockout quarterfinals with the four winners battling in the semifinals. Japan was represented in a two-day workshop that FIBA conducted to brief prospective bidders on the standards of hosting the World Cup in Mies last November. Aside from Japan and the Philippines, the other countries that sent delegates were Argentina, Uruguay, Australia, Germany, Hong Kong, Israel, Poland, Russia, Serbia and Turkey. Barrios led the Philippine delegation that also included SBP deputy executive director for international affairs Butch Antonio and TV5 CFO Anna Bengzon. Barrios said the Philippines will be ready for the inspection visits although infrastructure is still being laid out for 2023. 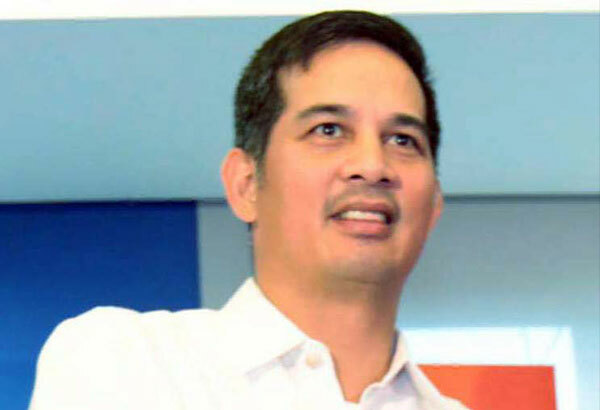 Anticipating a concern over traffic conditions leading to the 55,000-seat Philippine Arena in Bulacan, Barrios said an exit from the North Luzon Expressway leading directly to the stadium and alternative skyways will be up by 2023. The plan is to stage the World Cup final at the Philippine Arena. Barrios said the Philippine bid comes with an assurance to FIBA that traffic won’t be a problem in clearing all roads during the World Cup.